- BELGIQUE – Tournai - L’Escaut sépare la ville de Tournai en deux parties presque égales. D’un côté la rive gauche qui jouit d’un riche patrimoine historique et architectural, chouchouté par les habitants et les autorités locales. Et de l’autre, la rive droite moins intéressante historiquement et qui a toujours vécu dans l’ombre de sa jumelle. Mais cela pourrait changer avec la découverte majeure faite par les archéologues de la Région wallonne sur le chantier d’un projet immobilier derrière la clinique Saint-Georges. « Nous avons mis au jour une tour de la première enceinte communale qui a été construite entre 1188 et 1202 », explique Isabelle Deramaix, archéologue en charge du chantier pour le SPW. Aussi étrange que cela puisse paraître, ces fouilles sont les premières à être menées du côté de la rive droite de l’Escaut. Et la découverte de cette tour fait dire aux spécialistes que ce côté-là de l’Escaut pourrait être tout aussi riche que l’autre. « Nous l’avons identifié comme étant la tour Montaghu, précise encore l’archéologue. Comme les autres tours tournaisiennes, celle-ci dispose également d’une base carrée qui a été recouverte vers le XIIe siècle par une partie circulaire. À l’origine, soit avant la construction des quais, elle était léchée par l’Escaut même. Elle n’a plus de rôle militaire depuis le XIVe siècle et elle a été recouverte ensuite par des habitations. » Les archéologues ont fait preuve de beaucoup de flair pour retrouver la trace de cette tour. « Nous avons posé une clause archéologique sur ce chantier car au départ, nous pensions que les murs apparents des habitations étaient ceux de l’enceinte communale, raconte encore l’archéologue. Mais très vite, nous nous sommes rendu compte que ceux-ci étaient trop récents. Nous étions alors déçus. Mais nous avons décidé de creuser un peu plus et nous sommes tombés sur ce qui s’apparentait à une tour. Mais il a fallu la dégager des nombreux murs de caves qui l’entouraient pour en être sûr. » Comme le montrent les rares plans encore disponibles – les archives communales ont brûlé durant la guerre –, un pont était également accroché à cette tour. Le pont Tournu traversait l’Escaut. « Ces découvertes nous permettent de localiser plus précisément l’enceinte communale et de nous donner une idée plus précise de la manière dont elle était construite. Cela nous permet aussi de cibler les endroits plus intéressants archéologiquement et d’initier un chantier de fouille quand l’occasion se présente. - BULGARIE – Madara - Bulgaria should "import" shaman in order to stage reenactments of medieval pagan rites to attract foreign tourists, according to top archaeologist Prof. Nikolay Ovcharov. Ovcharov suggests that Bulgaria import a group of shamans from the Russian Republic of Buryatia near the Baykal Lake, which he visited recently. He believes that a reenactment of shamanist rites in the village of Madara – which is famous as the site of the Madara Horseman – a rock relief most likely created by the Bulgars (Proto-Bulgarians) in the 7th-8th century. "It turns out that shamanism has a lot of fans from countries like Germany, France, Hungary, you name it. In Bulgaria, there were shamanist rites in the 8th-9th century. We have a cult center in Madara, which is very similar to the one in Buryatia. Ovcharov explained that shamanism is a type of pre-religion totemism. In a ritual known as kamlane, shamans summon 13 spirits of supreme gods, and then turn into them, and are thus supposed to be able to cure, make predictions, and acquire other powers. "We have descriptions of the same rituals in early medieval Bulgaria. Their clothing consists of a totem. Ours wore animal masks, while the ones in Buryatia cover their faces with cloth," says the archaeologist. 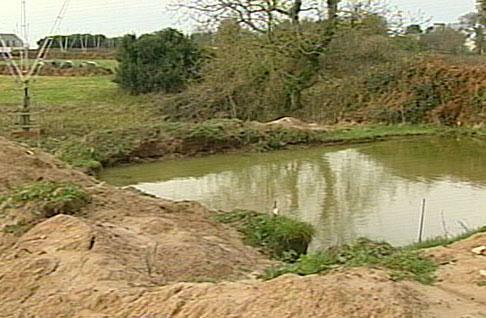 - ROYAUME UNI – Guernesey - A Neolithic and Bronze Age settlement discovered near the airport runway in Guernsey is to be excavated. The site will be buried under plans to realign the runway. Evidence of the settlement, dating back more than 4,500 years, was unearthed during initial investigations two years ago. 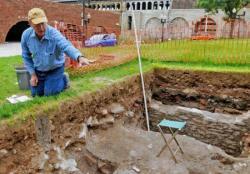 It has now been announced that there will be a major excavation of the site by Guernsey Museum and Public Services. States Archaeologist, Dr Philip de Jersey, says the airport site is a rare example of an early prehistoric settlement in Guernsey which should reveal new information about how people lived in the island 2,500 years before Christ. The six-week investigation is due to begin next week. - BURMA – Mrauk U - The government authority has given up on its plan to take the recently recovered 4.6 viss golden Buddha statue from Mrauk U, the ancient city of Arakan, to Naypyidaw, after local people protested, said residents. An pure golden Buddha statue from the 8th century CE, that weighs 4.6 viss, was found along with 26 other small ancient statues during a pagoda renovation in the Shwe Gu Daung Mountains, 2 furlongs north of Mrauk U, on 30 May, 2011. "The authority arranged for the statue to be taken to Naypyidaw from our town on Saturday by vehicle, against our people's wishes, but they stopped this plan soon after they faced strong protests from the townspeople," a resident of Mrauk U said. The golden statue is 12 inches high and is the same as images made in Sri Lanka during the 8th century CE. Because of this, many archaeologists at Mrauk U believe the statue was cast in Arakan during the early part of the 8th century. - ROYAUME UNI - Kingston upon Thames - Kingston owes its earliest developments to a far more modest watercourse than the Thames, according to the town’s archaeologists who want to set the record straight. The river, which stretches six miles from its source in Ewell, is now largely found in conduits and often disappears underground, but investigations show its original channels played an important role in determining the shape of human settlement in the Middle Ages. Records show that at various times no fewer than 13 mills, some of them producing gunpowder, existed along the Hogsmill’s length. 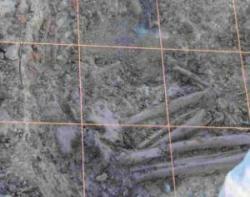 The site of most of them is unknown, but it is hoped that the project, will be able to identify others. Kutas will use test pits and a network of boreholes, to delve all the way back to prehistoric times at a site alongside the Hogsmill at Tolworth. They will also work with palaeoecologists from Reading University to investigate how plant life has changed there over thousands of years, and the impact that human beings have had upon it. Flint tools used by Stone Age men, or signs of the Romans, who are thought to have used the Hogsmill valley to move livestock from their encampment at Ewell to the meadows around Kingston, could be among the finds. Results of the project will be displayed at a Kingston Museum exhibition in spring next year. - USA – St Louis - In May, students from professor Mike Fuller's "Field Methods in Archaeology" class labored for several weeks to excavate a hole to a depth of seven feet. 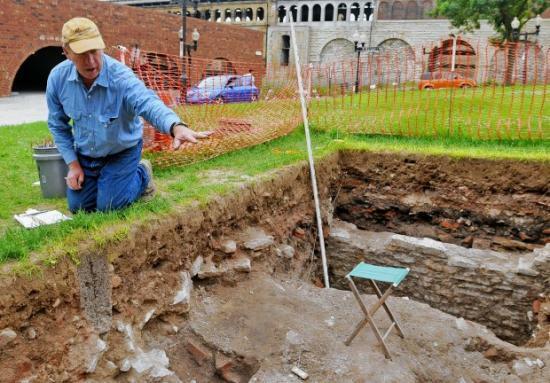 The dig site sits in an area devastated by the Great Fire of 1849, which incinerated a large swath of downtown St. Louis after igniting on a steamboat. The class, which sifted two cubic meters of dirt, found some interesting French items, such as a fragment of a period tobacco pipe. "This is something an early French colonial settler would have used," Fuller said, after pulling the piece from a glass traveling case. "People like (Rene Auguste) Chouteau." Chouteau is credited with founding St. Louis in 1764 as a French fur trading post. The class also dug up numerous fragments of hand-painted china, dated to colonial-era St. Louis. But despite the presence of prehistoric mounds just 500 feet to the north of the dig site, the students were unable to locate any American Indian artifacts in the 16- by 8-foot hole. But they did find plenty of burned bricks, evidence of the fire that ripped through the area 162 years ago. The class also found several interesting items from turn-of-the-century St. Louis, including remnants of a glass patent medicine bottle bearing the name "Dr. McLean."